As Freedom Mobile continues to build out its LTE network, the Shaw-owned carrier has confirmed it’s now testing Band 13 spectrum in select markets. The testing first came to light through a Reddit post from user zivan56, who linked to a tower marker in Vancouver on CellMapper, which sources information from a user’s device and SIM to identify cell tower information. The tower belongs to Freedom Mobile and operates on the 4G LTE network using Band 13 (746 to 755.9MHz) spectrum. Apart from Vancouver, it’s unclear exactly where Freedom is testing Band 13, and the carrier declined to comment further. Band 13 spectrum is set to provide Freedom’s network with added range and reliability due to its low frequency. Users can expect better indoor coverage once Band 13 is deployed, but shouldn’t get too excited about faster speeds — high data throughputs come courtesy of high frequency spectrum, like Band 66, which Freedom used to launch its LTE network. Currently, Freedom’s LTE upgrade page on its website simply states that it’s deploying Band 4 and Band 7. Among the Freedom community on Reddit, Band 13 was expected to arrive after those deployments were complete at some point in the summer of 2018 — but it seems the carrier may be ahead of schedule. Shaw acquired the new Band 7 (2500MHz) and Band 13 spectrum from Quebecor in July 2017 for $430 million CAD. 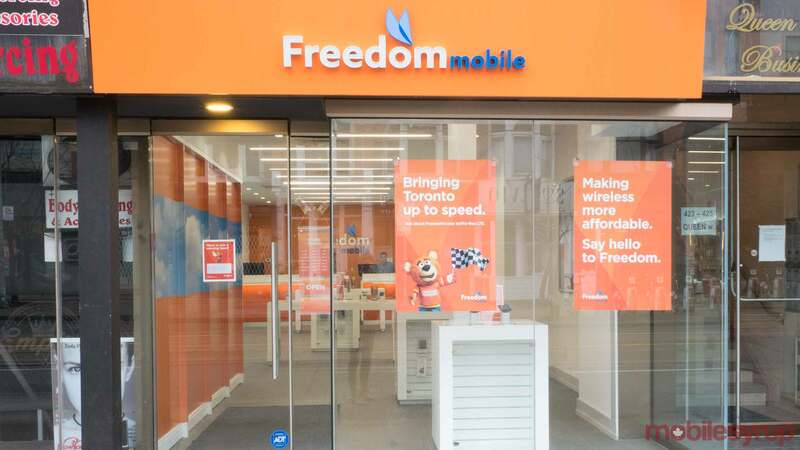 In November 2017, Freedom Mobile began enabling LTE for customers with 3G plans no longer in-market.